AnVir Task Manager is a program that lets you make some adjustments to the operating system, in order to increase its performance. The program's GUI is well-organized. So, you can edit or disable Registry entries which are automatically initialized at system startup, as well as terminate active processes, services or applications, or bring their window to the front. It is possible to monitor the traffic and view hidden processes, filter services by type (Microsoft, non-Microsoft, Windows), check out log details and export them to an HTML file for further analysis. Additional features of AnVir Task Manager let you locate DLLs, files, processes or drives on the computer, as well as check an item for malicious agents via VirusTotal.com. A wide range of configuration settings are available through the Options screen. For instance, you can minimize the app to the system tray area, create a list of programs to be automatically disabled from the Windows boot sequence, as well as balance the CPU utilization, among others. The program runs on a low quantity of CPU and system memory, so it doesn't put a strain on the computer's resources. It is very responsive to key strokes and mouse events, and offers user documentation. We have not encountered any problems in our tests, since the app did not hang, crash or pop up error dialogs. 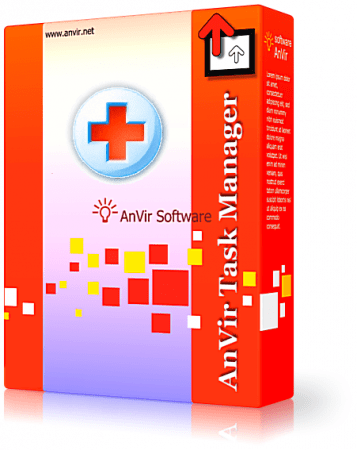 Furthermore, AnVir Task Manager can be used by individuals of any skill level. There's also a portable edition available, Portable AnVir Task Manager Free, in case you don't want to install the app. • Full information about processes including command line, DLLs that the program uses, inbound and outbound traffic, disk load, tray icon, performance graph, internet connections, Windows, threads, open files, etc. • Icons in the system tray.